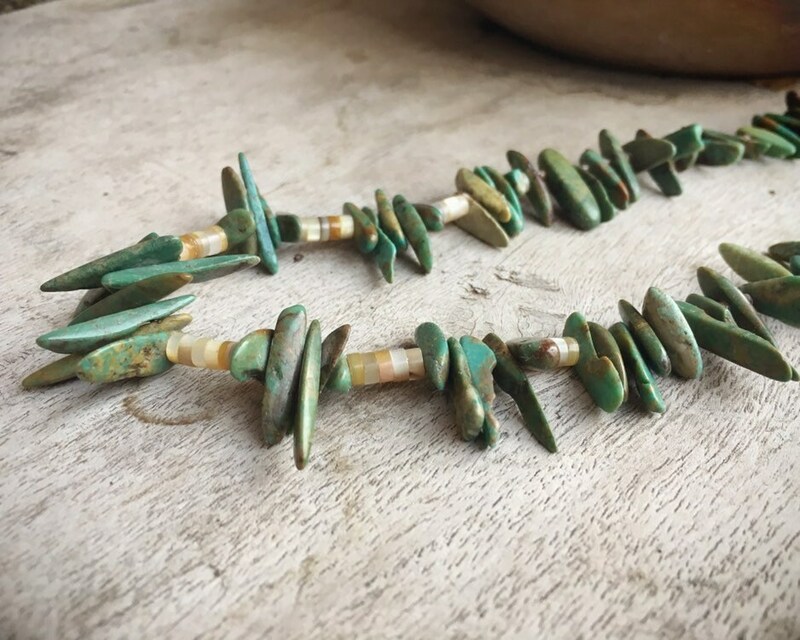 This older necklace stands out for the beautiful shards of beautiful Nevada green turquoise shaped into long fingers, almost like small daggers. 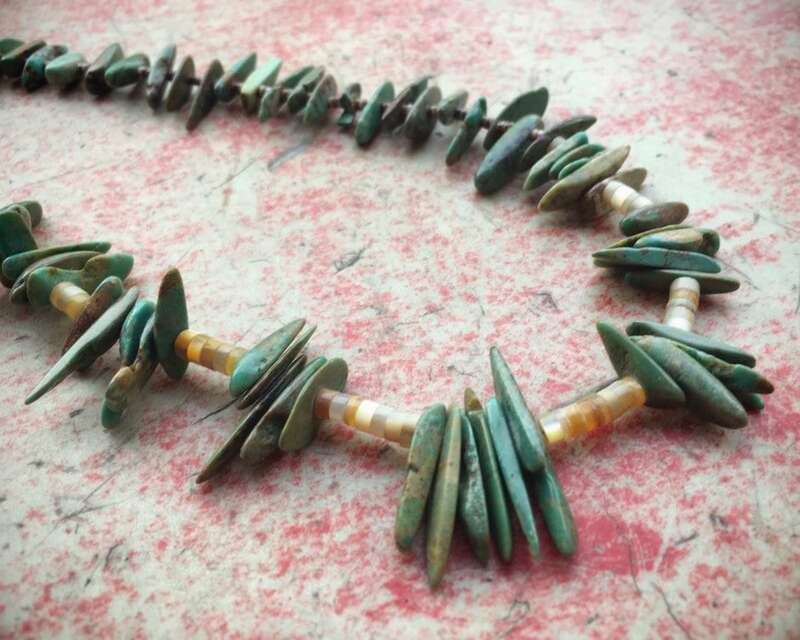 The shards are grouped together at the bottom, and between each grouping are several light shell heishi disc spacers, possibly pen shell. 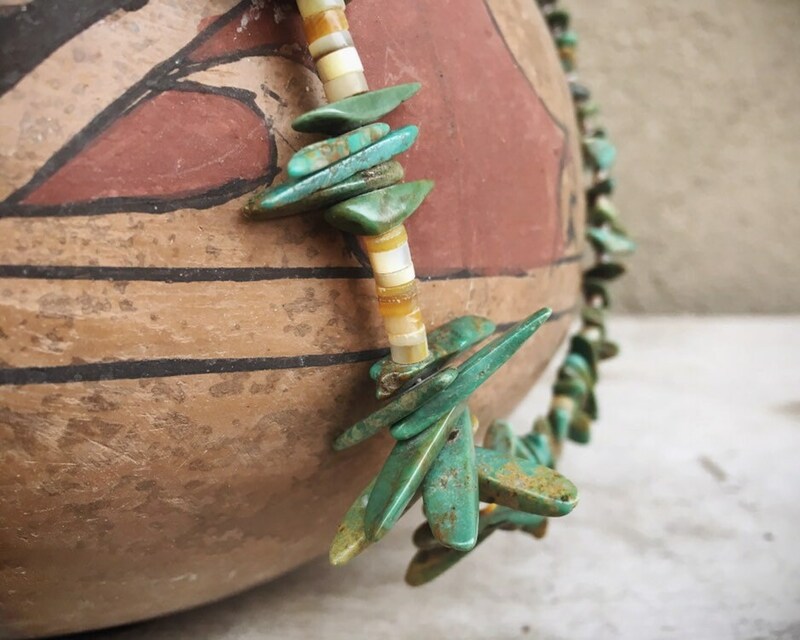 Midway up the sides of the necklace the turquoise pieces are spaced individually between smaller sections of shell heishi spacers. 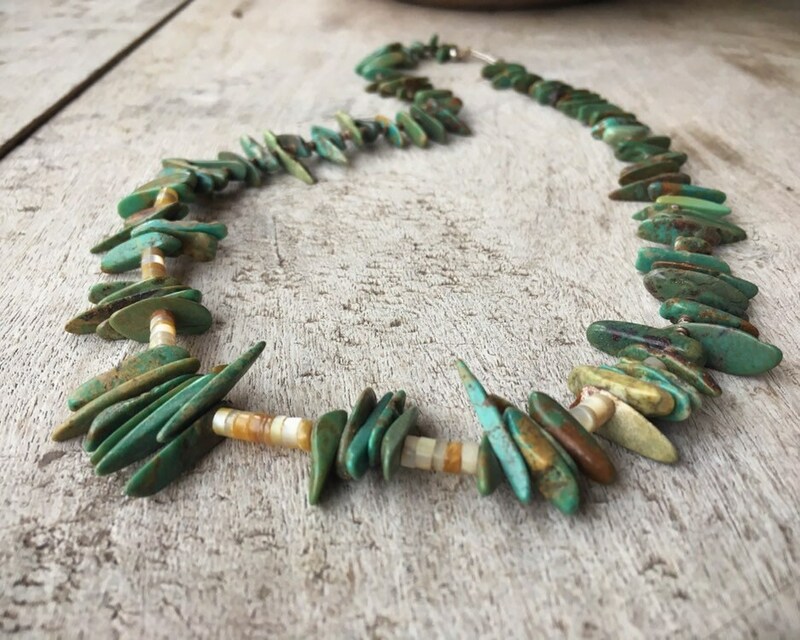 The turquoise is natural and gorgeous with brown matrix, and some of the pieces are blue hued, although overall they are more green than blue. 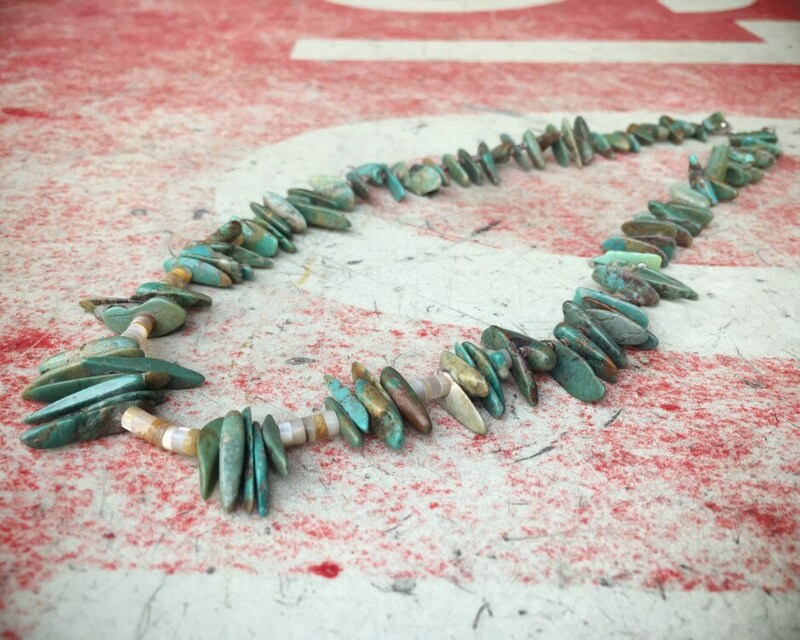 Some of the shards of turquoise have chipped or broken, although given the jagged organic nature of the necklace, it's hard to tell where those small flaws occur. 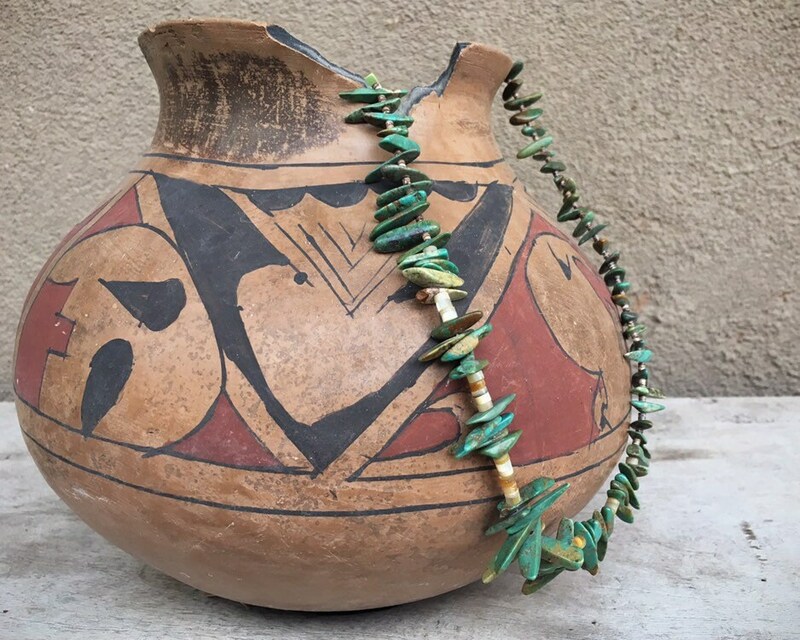 The antique dealer from whom I purchased the piece said that it was made by Santo Domingo Maria Tenorio. It is unsigned. 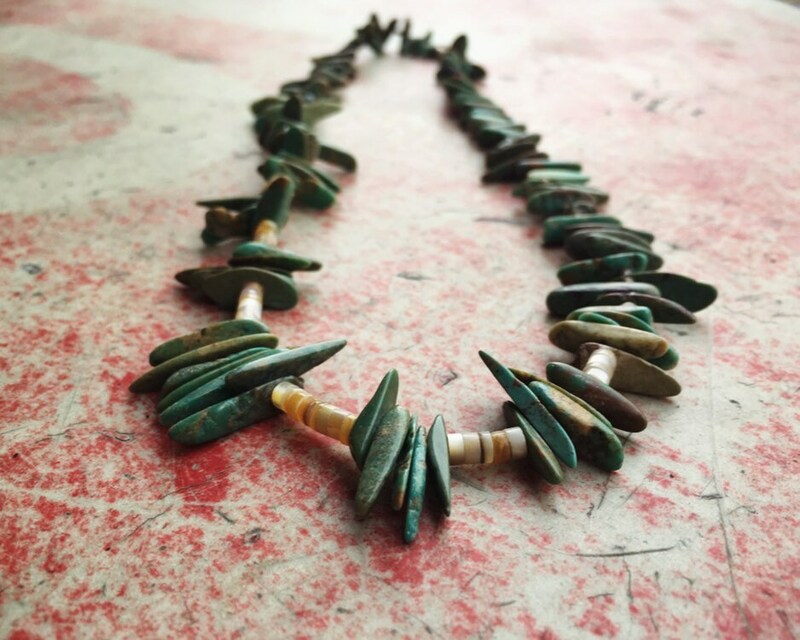 Measures 19" long from tip to tip, and so be aware that this is short--choker length for most people. It is strung on nylon twine with hook closure. 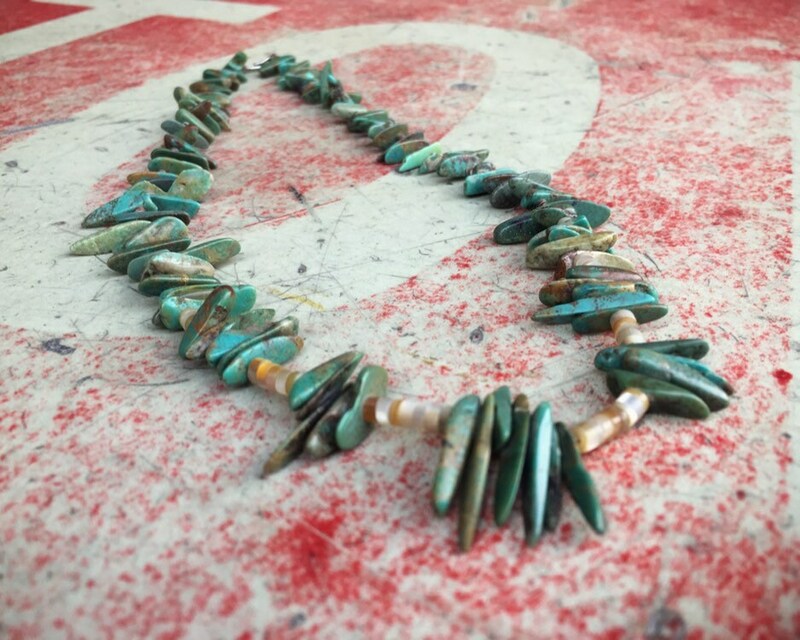 Other than a chip here and there in the turquoise, is in good condition.